This chapter begins the development of the logical characterization of the dynamics of hybrid games, which proves from which states which player can win which game. It investigates compositional reasoning principles with dynamic axioms for adversarial dynamical systems, where each axiom captures how the existence of a winning strategy for a more complex hybrid game relates to the existence of corresponding winning strategies for simpler game fragments. 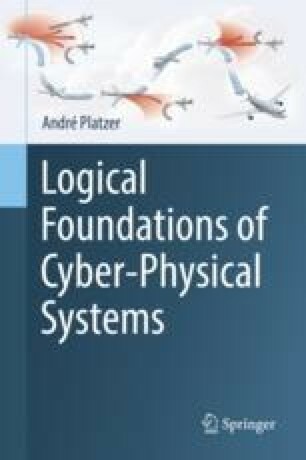 These dynamic axioms enable rigorous reasoning for adversarial CPS models and axiomatize differential game logic, which turns the specification logic dGL into a verification logic for CPS. This is the cornerstone for lifting hybrid systems reasoning techniques to hybrid games.